Covering return postage for the state’s all-mail balloting would cost about $1 million for a presidential election and about $2.7 million for the next two years, a Senate committee was told Monday. But supporters of a proposal to do just that say it would make voting more convenient and remove a possible barrier for poor residents. “Of all the barriers (to voting), being poor should not be one of them,” said Sen. Bob Hasegawa, D-Seattle. “I think today, for some people it’s pretty hard to find a postage stamp,” said Sen. Pam Roach, R-Auburn. State and county elections officials attempted, without much success, to tamp down the enthusiasm for an idea that’s surfaced in other years but has yet to become law. Monty Cobb, lobbyist for the state’s county officials, told [the committee] that it’s possible to turn in a ballot for free in a drop box. The mechanics are difficult, because if counties use a postage meter to stamp the return envelopes, they’ll pay for the ballots that aren’t returned as well as the ones that are. The post office also doesn’t always postmark envelopes with metered stamps, and postmarks are necessary to determine whether the ballots that arrive after Election Day were mailed by the deadline. The secretary of state’s office, which oversees elections, supports the concept. “Our main concern is the postmark,” said Sheryl Moss, of the state elections office. [Senator] Roach suggested the state should be able to mark an envelope to be mailed without a stamp, similar to the way members of Congress frank their mail then pay the post office. That would be fine, if the Legislature can persuade Congress to extend the franking privilege, [lobbyist] Cobb said. One twist that could hang up the idea: it doesn’t apply to local elections. That would mean election officials in those contests would have to remind voters to affix a stamp – or find another way to pay for postage themselves. This is a discussion that may be coming to other communities as well – especially as the number of mailed ballots continues to climb. 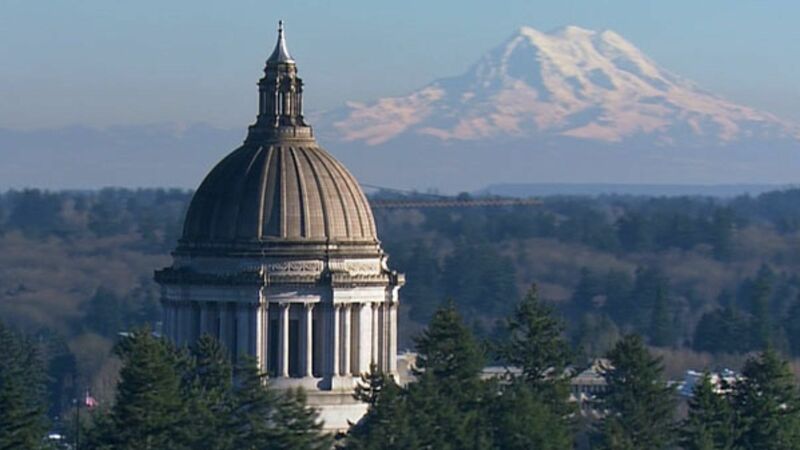 Still, it’s good to see that lawmakers in Olympia are cognizant of the fact that even vote-by-mail elections impose some small direct costs on voters and are willing to address it. I’m guessing the U.S. Postal Service – which needs all the business it can get – is in favor of anything that encourages people to use the mail to return their voted ballots. If Washington lawmakers are willing to invest the funds but nervous about paying for postage, perhaps the cost could be invested instead in more dropboxes or other programs (like Iowa’s “votemobiles”) that shorten the distance between a voter and a cast ballot. Either way, it’s an interesting discussion and one well worth having. Previous: Mineral County Mystery: Are Votes Missing? Were They Hidden? 13 Comments on "Save the Stamp? Washington State Considers Covering Ballot Postage"
I wrote alot of informations about stamps and Where to buy stamps on my informational blog abut stamps. Washington State Considers Covering Ballot Postage? Isn’t this outrageous? I have often wonder if it was possible to save stamps while in Washington! And Now I found this article! Thank you for the information on save-the-stamp-washington. I am so in support with this. Washington State should not only considers Covering Ballot Postage stamps. But should a step further and ensure it is done.